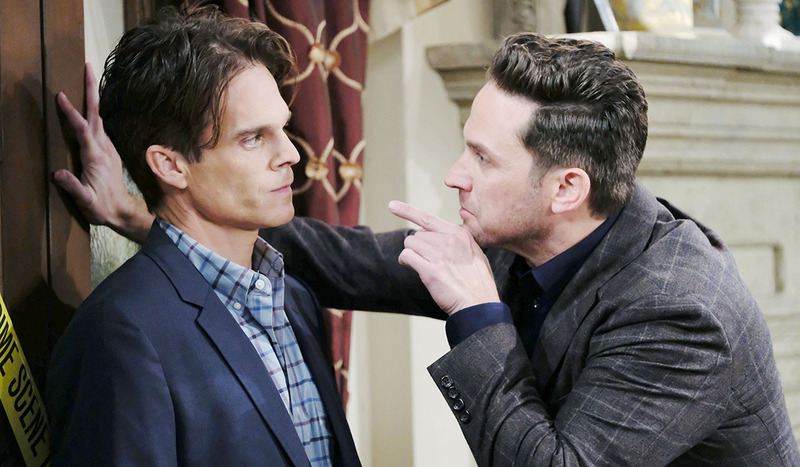 Friday March 22, 2019: On Days of our Lives today, Claire reacts to Tripp's wedding news, Stefan throttles Leo for scamming him, and Brady has advice for Gabi and words with Leo. At Salem Police Department, Eli asks Lani to resume the date they were on when they were interrupted in order to arrest Haley. Lani thinks it’ll take a miracle to keep her in USA. They bemoan having to arrest Haley and recall it happening in the past with old friends who were taken away by ICE (Immigration and Customs Enforcement). Lani looks around and asks, “You think they check these security cams?” Eli says not without reason. They make out. 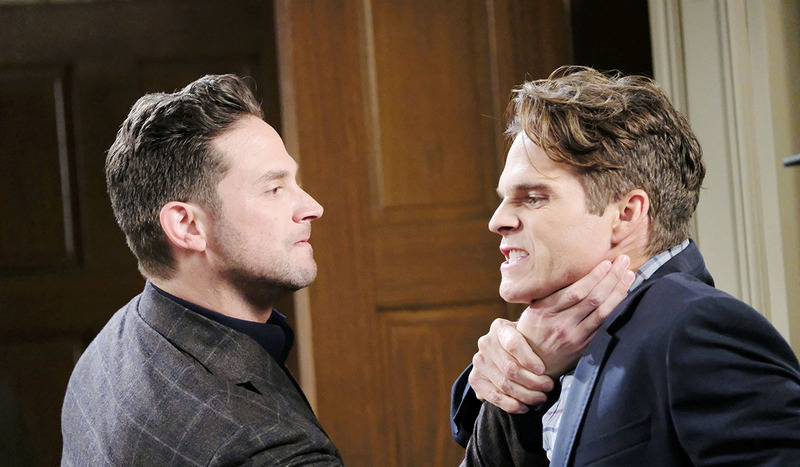 At the loft, Tripp warns he has bad news for Claire. Though he has no feelings toward Haley and is committed to Claire, he is marrying Haley. Claire’s perturbed. Tripp says JJ originally offered but because Jack is in the picture, they’ll be under too much scrutiny. Claire goes off the rails, unhappy. He could go to jail – they could all be busted. She learns they could marry tomorrow and hates this. She screams into a pillow and then vows to support him. Tripp grabs her in a hug and lingering kiss. At JJ’s place, Haley lets JJ know she’s marrying Tripp in order to stay in USA. JJ doesn’t get why she’d marry his cousin instead of him. Haley reminds him of his link to Jack. JJ tries to talk her out of it by reminding her Tripp’s in a relationship. This could last years! Besides, Tripp doesn’t care about her the way he does. He kisses her passionately. At the Kiriakis mansion, Gabi and Brady drink to their victory, since Leo bought their fake tip which will have screwed Stefan over. Brady asks what her plans are tonight. She’s catching up on This Is Us. Brady laughs. Why doesn’t she do something fun? 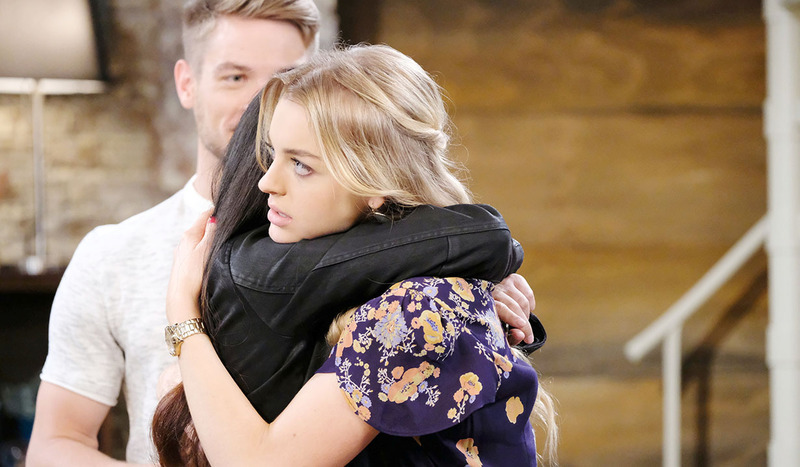 Gabi says everyone hates her because of what she did to Abigail. Brady’s been there. She gets notice that Stefan needs her and takes off. Leo arrives at DiMera mansion. Stefan’s (played by Brandon Barash) playing chess so Leo babbles about getting himself a drink. Stefan grabs him by the neck and throws him up against the wall. The company he tipped him off about was a decoy for one that Brady bought. Leo’s shocked, having had no idea. Stefan thinks he’s intentionally helping his brother screw him over. Leo says Brady tricked him. Stefan’s done with the games and tells him to get out. Later, Gabi arrives. Stefan knows she told Brady that his brother was going to spy on him. Gabi denies it. Mr. Chin will toss her out if he learns she’s double-crossing the company. He threatens that he’d hate to see her lose her daughter again and Gabi slaps him across the face. At the hospital, Marlena tells John she’s feeling better. “I guess we can add poisoning to the list of things that can’t kill me,” she jokes. Diana appears, glad Marlena is doing better. John invited her there because he wants to know if she saw Kristen DiMera the day Marlena was poisoned. He takes out a mugshot of Kristen. Diana doesn’t recall seeing her. John makes a big production out of saying they assume it’s Kristen and then as he walks Diana out, he says her support means a lot. He suggests dinner once Doc is out – they’ll invite Leo. Diana likes that idea. He goes and she worries she didn’t wipe her prints from the IV bag. John returns to Marlena. They’ll soon have Diana right where they want her. Diana arrives at SPD. 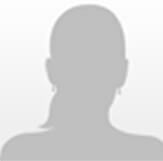 She lies that she’s a reporter working on a piece for the manhunt for Kristen DiMera, and is a friend of John and Marlena. She learns that the cops are waiting on the fingerprints to close the case. Diana gets ready to leave and hears Lani agreeing to lock the IV bag up in Hope’s office. Later, in the dark, Diana lets herself into Hope’s office where John is, holding the IV bag. “Looking for this?” he asks. Lani finds JJ drinking at the square. She’s sorry about the judge’s ruling in Haley’s case. JJ says there’s a solution to her problem but it’ll mean he can never be with her again. Haley arrives at the loft and Claire gushes, “Here comes the bride.” Haley knows this marriage is hard on her. Claire pretends it’s nothing. They embrace. Leo barges into Marlena’s hospital room looking for John. Marlena says he’s not there. Brady bursts in with an apology. Brady interrupts a moment between Stefan and Chloe. Flashback Friday! On this day in soaps, March 22, 2010, Sami wanted a job with the FBI.